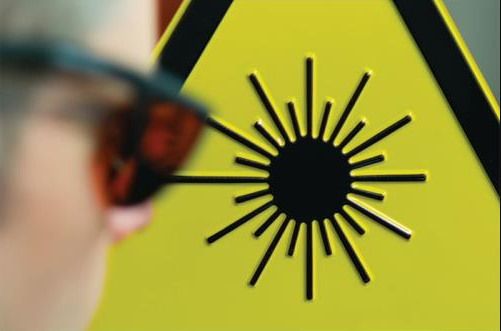 Due to the potential harmful effects of staring into a laser beam, caution must be taken when using a laser device. NEVER stare into a laser beam directly or indirectly. Under NO circumstances is a laser product to be shone into the direction of someone’s eyes. All of our laser products come with the correct labelling either Caution or Danger labels in accordance with the output power of the product in question. The Laser Safety Class also appears on the label accompanying the product. Global Laser Ltd stocks a wide range of laser safety eyewear suitable for use with laser products that are not eye safe. Please visit the Laser Safety Eyewear page for more details. These are visible lasers less than 1.0mW. This class is safe for accidental viewing under all operating conditions. However, it may not be safe for a person who deliberately stares into the laser beam for longer than 0.25 s, by overcoming their natural aversion response to the very bright light. Radiation in this class is considered low risk, but potentially hazardous. The class limit for 3R is 5x the applicable class limit for Class 1 (for invisible radiation) or class 2 (for visible radiation). Hence CW visible lasers emitting between 1 and 5mW are normally Class 3R. Visible class 3R is similar to class IIIA in the US regulations.